Airdate: Fresh off the Boat, Bordertown, Cristela, Angel from Hell. Several new multichannel shows for ELEVEN have been revealed. Angel from Hell featuring Jane Lynch premieres 8pm Tuesday 2nd February on ELEVEN. Angel From Hell stars Golden Globe and multiple Emmy® Award winner Jane Lynch in a comedy about Amy, a colourful, brassy woman who inserts herself into Allison’s organised and seemingly perfect life, claiming to be her “guardian angel.” Allison is an intense, driven doctor who is sure that Amy is just an inebriated, outspoken nut, until every one of her warnings proves true. Cautioned by Amy not to tell anyone about her, Allison can’t discuss this over-the-top oddball with her father and business partner, Marv, a sunburned dermatologist who shares an office with Allison, or her younger brother Brad, a pharmaceutical sales rep who lives rent free over her garage. As Allison tries to push Amy away, Amy makes her final pitch: her sole mission is to provide Allison with helpful guidance that nudges her in the right direction in life, and it’s her final chance to prove herself as an angel. With that, Allison agrees to this unlikely relationship because maybe a weird friend is exactly what she needs. New Seth McFarlane animation Bordertown premieres 9pm Wednesday 3rd February on ELEVEN. US sitcom Cristela has its Free to Air premiere Saturday 6 February at 6.30pm on ELEVEN. In her sixth year of law school, Cristela is finally on the brink of landing her first big (unpaid) internship at a prestigious law firm. The only problem is, her pursuit of success is more ambitious than her traditional Mexican-American family thinks is appropriate. Fresh Off the Boat will also have its Free to Air premiere 8pm Monday 7th March on ELEVEN. Fresh Off the Boat takes a humorous look at the lives of immigrants in America. In the 1990s, Eddie, a hip-hop-loving 11-year-old, relocates with his parents and two brothers to suburban Orlando from the Chinatown section of Washington, D.C. As Eddie’s dad, Louis, pursues the American dream by opening a western-themed restaurant named Cattleman’s Ranch Steakhouse, Eddie and the rest of the family try to acclimate to their new, strange surroundings. I hope these shows get a bit of a following, The Last Man On Earth on One has been outstanding ! I can’t speak to the other shows, but Fresh off the Boat is well worth watching. Fresh Off The Boat sounds a bit like The Family Law. Hopefully there’s enough to differenciate the two programs. 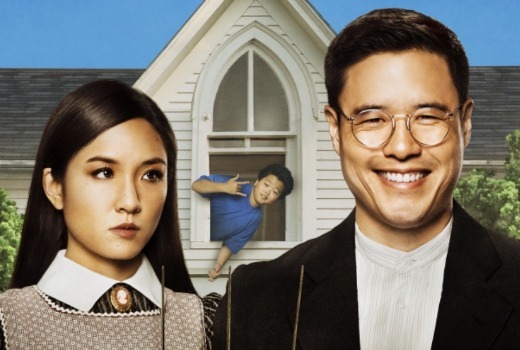 Fresh Off The Boat is well into its second season on Foxtel and I can honestly say that it is one of the most consistently funny shows I’ve seen in a long time… Certainly different to the brilliant pilot I saw of the Family Law… FOTB is more sitcom-y with a tinge of sweetness.